Dr. Karia Bunting describes the important role of being true to your femininity even as you seek to break the word of life. Our Sister Preachers will be blessed by this interview. Dr. Bunting has released a book the describes God’s design in our lives, especially the women among us. Here is an interview that will help us understand the great importance of being who we are as well as preaching the gospel. Stephanie Smith: You are a self-described expository preacher, with an evident love for the Word. How do you view your personal responsibility in “rightly handling the word of truth” (2 Timothy 2:15)? 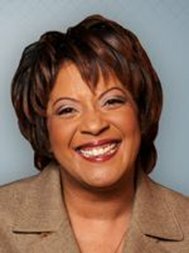 Dr. Karia Bunting: I am in love with the Word of God and enjoy communicating it! But it doesn’t matter to me whether it is communicated on a platform, in a pulpit, on the floor, in a coliseum or on the dirt road of a missionary field. The Lord has given me my first book, Daddy’s Delight: Embracing your Divine Design, which I trust Him to use to His glory. And the Lord has given me an expository Bible teaching program that airs on DirectTV 378, and Sky Angel 126. My mission is to communicate the Word of God through every means available so that people are saved and disciples are made. I simply teach the Word wherever, to whomever. That is what I am called to do. Stephanie Smith: After 18 years of studying theology and now in the midst of working on your second doctorate, do you ever struggle while preparing a sermon to reign in your intellectual ruminations and bring them down to earth for your listeners? Dr. Karia Bunting: That used to be a struggle before I started doing local church ministry. Love changes things. I love the women I serve, and intellectual rumination does them no good. So I have learned to cut out the things that do them no good, and articulate the Word of God which never returns void. I was greatly influenced by an older gentleman named Pastor Cole. He was about 88 when I met him, and walked slowly and with a cane. This great man of God spent hours investing in this little servant. At the time when I met him, I was struggling with how to allow the Doctorate in Humanities to enhance my teaching of the Word. At the end of that conversation, He looked at me straight in the eye and said, “Karia, teach the Word. That is what will change people’s lives.” That put a period at the end of that problem. I don’t struggle with it anymore. I just teach the Word. Stephanie Smith: Some preachers favor the traditional three-point sermon and some prefer narrative preaching. What model do you typically use? How do you choreograph the interchange between Scriptural truth and illustrations/ stories of application in a sermon? Most of the time, I don’t do the three point message. This method leaves little room for nuance to come out. People relate well to stories, which is why I love the narratives of the Old Testament. I don’t start with a plan or a structure. I start with the text by praying and then seeing what pattern emerges. Generally the text will group itself later into major points, and I write them down. Then I arrange sub-points under these, and later illustrations. To tell you the truth, sometimes the illustrations don’t get added until I am about to teach the message! As far as application is concerned, I generally do an application on the major and minor points of the passage. I say generally, because sometimes I don’t. I really follow the Spirit on the applications. I have some that I plan to do, but I try to follow Him on that. Applications are audience specific. Stephanie Smith: You preach every week to a group of women at your church. What special needs do you see that women have in terms of a good sermon? What do they respond to best and how does this shape your preaching preparation? Dr. Karia Bunting: Yes, I enjoy teaching the Word to the women at my church. What they need is the Word of God applied to the circumstances of life. So you need to know two things: 1) The Word of God 2)The circumstances of their life. The same goes for any audience, really. Messages in the environment in which I minister need to be encouraging. But then, most of the time I need encouragement, too. So the Lord speaks that encouragement through His Word to me, and I pass it on. What that means for the listeners is that they become encouraged through the same message that encouraged me when I was studying it! I love how the Lord works! The major way that the audience shapes my message construction is in the area of illustrations. The illustrations to which the ladies in the group that I serve might relate may not be the same illustrations to which other audiences might relate. So, for me at least, that is where I tailor the message. Stephanie Smith: Generally speaking, men and women have different speaking styles. How do you remain true to your femininity in your preaching while perhaps many would consider preaching a traditionally male role? Dr. Karia Bunting: I am who I am, that’s all. I am a woman. I am always a woman. I enjoy being a woman. I don’t want to be a man. And that shows, I think. I don’t judge myself, thinking, “Karia, you are too feminine there” or vice versa. If I critique myself, it is on the quality of the message. And as far as tradition goes, I am very traditional. When I speak to entirely female audiences, I just speak. But if the audience is gender mixed, I speak under the authority of my husband and pastor. If I have been invited by a pastor to speak to a gender – mixed audience, I also acknowledge the authority of that pastor. So I’m covered. I am in order. Stephanie Smith: You recently published your first book, Daddy’s Delight: Embracing Your Divine Design (Moody Publishers, June 2010) in which you explore feminine design through both a practical and Scriptural lens. What challenges did you face in translating the spoken word to the written word? Dr. Karia Bunting: For me, the spoken word and the written word are two different genres. So when I write, I try to produce good literature – or at least as good as I can get it! I’m no Hawthorne! But I am a servant of God, and what that means for me is that He has equipped me to do that for which He has called me! Expository writing is first-person heavy. When you are writing a book, you are sharing yourself with the readers. So there is a lot of your life in the book. The reader wants to know how the message works in real life. So you have an opportunity to share your life, your heart, your concerns, your own insecurities, and your victories in a way that is beneficial to the reader. This book addresses a number of life stages and issues. It brings the Word of God to bear on the challenges of being unmarried, divorced or widowed. It presents God’s solutions to the daily life situations of being a mother, a caretaker, a career woman, a business owner, or a minister. Daddy’s Delight, is about enjoying and maximizing life according to God’s design in the midst of everyday circumstances. I try to do this by presenting the application of God’s Word through the everyday circumstances of a woman, so that she will find truth sweetly nestled in heartwarming, entertaining stories to which she can relate. KARIA BUNTING (Dallas Theological Seminary; Louisiana Baptist Theological Seminary; University of Texas) is an expository Bible teacher and the founder of Focused Forward Ministries. She currently serves as an adjunct professor at Dallas Baptist University and teaches a weekly Bible study at her church, Oak Cliff Bible Fellowship. Karia and her husband, George, live in Dallas and have three children.